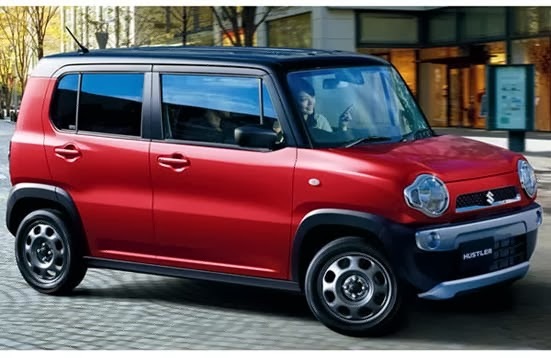 Early in 2014 the lovers Suzuki has been able to bring a mini car crossover Suzuki Hustler. 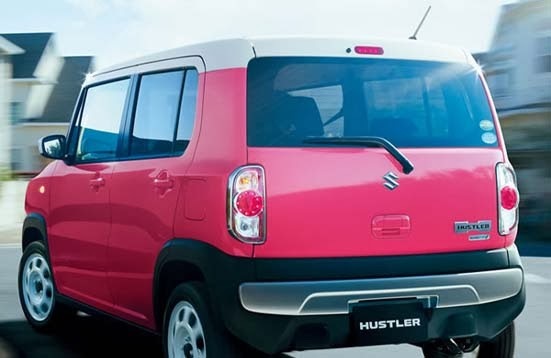 Suzuki stated Hustler was designed as a car that is suitable to accompany you every day. 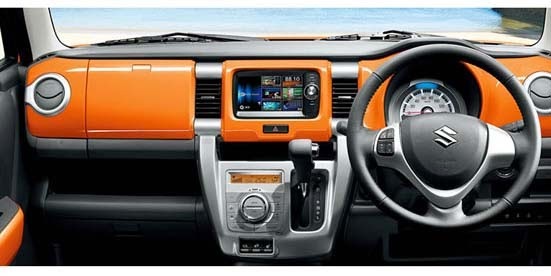 With designs boxes, even a cursory face was similar the Toyota FJ Cruiser, Suzuki Hustler offers a spacious cabin. 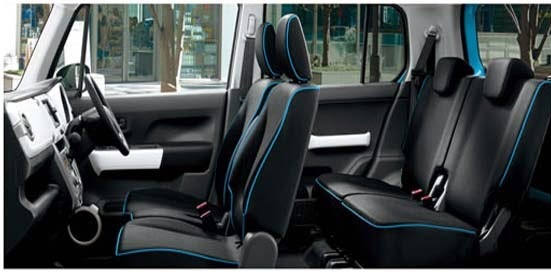 Car cargo space can accommodate many of equipment or equipment your sports. Hustler own sharing a platform with the Wagon R, and combining characters SUV and a small wagon. Hustler has the dimensions of length 3.395 mm, width 1,475 mm and height 1,665 mm. Suzuki Hustler has a unique designs and is supported by the colors attractive exterior, everything there is 11 colors. To Hustler type X and G, color a body different from the color the roof. The cabin is simple, yet lively with a mix of two color. Hustler equipped with engines 660cc 3-cylinder DOHC. 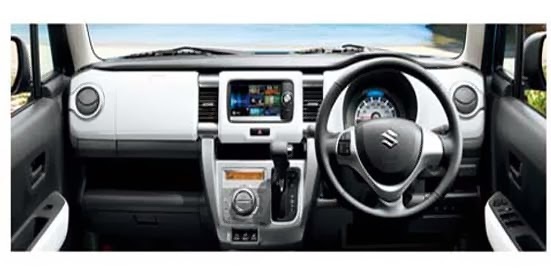 There is a version of the turbo and non-turbo You can choose between a CVT transmission or 5-speed manual and 2WD or 4WD. 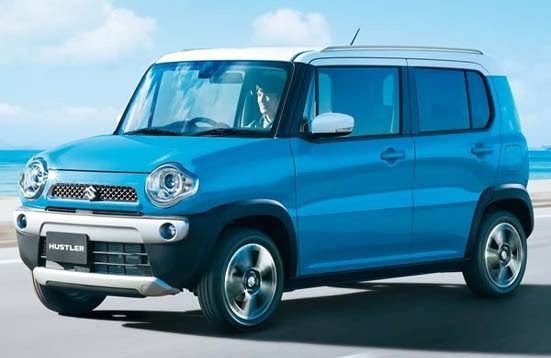 Meanwhile, Suzuki complements Hustler with some green technologies: ENE-CHARGE, Idling Stop, and eco-Cool. As a result, the consumption of fuel oil efficient reaches 29.2 km / liter. Features or other technology that gets picked up by Hustler: grip control (brake control and torque on slippery roads), hill descent control, radar Brake Support. 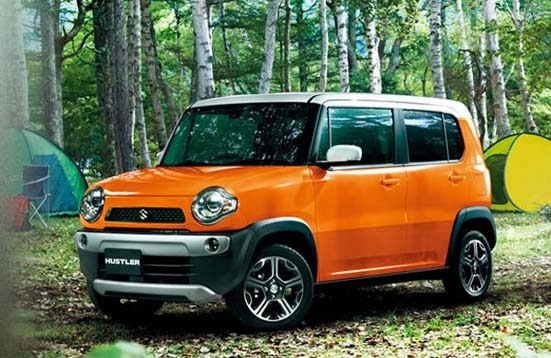 Suzuki will sell Hustler begin January 8, 2014. 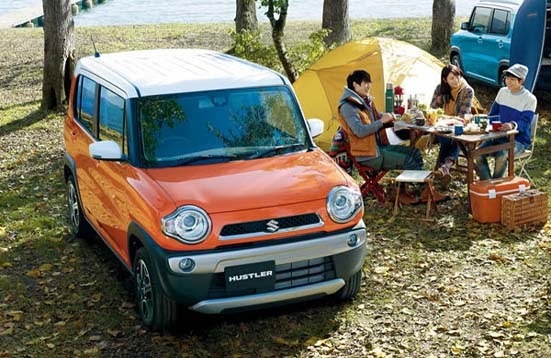 Price Suzuki Hustler priced from 1,048,950 yen.